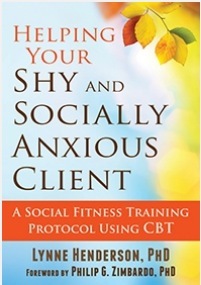 The publications listed here report research carried out by The Shyness Institute. The Shyness Institute is a non-profit research institution dedicated to research regarding shyness, social anxiety, and related anxiety disorders. A central focus of this work is the development of The Social Fitness Model, which views capabilities in demanding social situations as analogous to capabilities in demanding physical situations: one needs to get and remain fit if one expects to be able to function. Social fitness is achieved through practice. 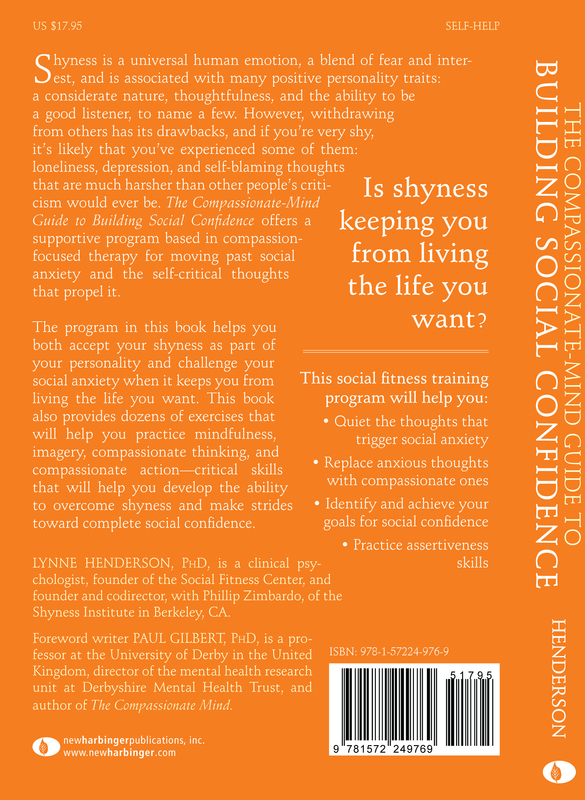 Compassionate Social Fitness: Implications for an Extreme Type of Male Shyness and WithdrawalCompassionate Social Fitness for All. Henderson, L, panel presentation, August 5, 2017, American Psychological Association, Conference, Washington, DC, USA. Compassionate Social Fitness for All. Henderson, L, presentation, July 10, 2016, Summer Forum, Unitarian Universalist Church of Berkeley, Kensington, CA, USA. Compassionate Social Fitness: Theory and Practice. Henderson, L, workshop April 11, 2015, Anxiety and Depression Association of America conference – ADAA 2015, Miami, FL, USA. 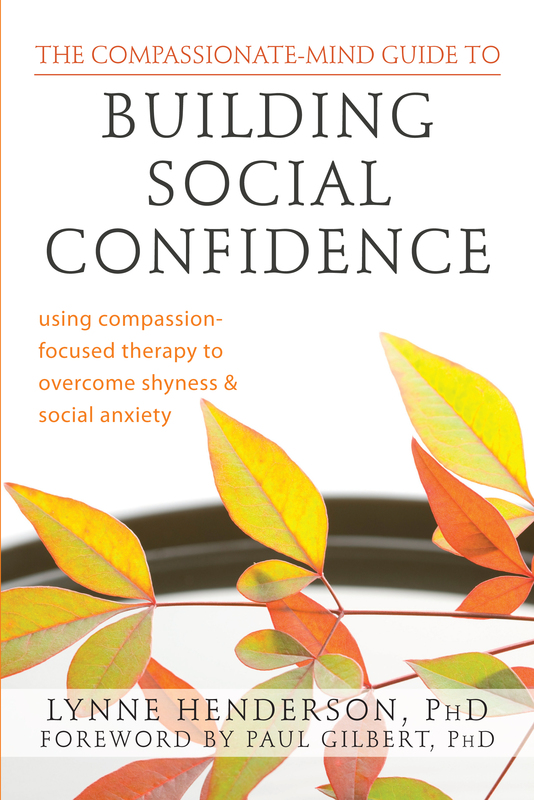 Compassion-Focused Therapy for Shyness and Social Anxiety Disorder: Compassionate Social Fitness. Henderson, L, Course, John F. Kennedy University, September 26, 2015, Berkeley, CA, USA. Compassionate Social Fitness for All. Henderson, L, Keynote Address, November 5, 2015, Norwegian Association for Cognitive Therapy Conference, Oslo, Norway. Compassionate Social Fitness: Theory and Practice. Henderson, L, workshop March 29, 2014, Anxiety and Depression Association of America conference – ADAA 2014, Chicago, IL, USA. Shyness and social anxiety. Henderson, L., Gilbert, P., & Zimbardo, P. (2014, in press; draft – do not cite). In S. G. Hofmann & P. M. DiBartolo (Eds. ), Social anxiety: Clinical, developmental, and social perspectives, third edition (3rd ed.). Taramani, Chennai,India: Elsevie. 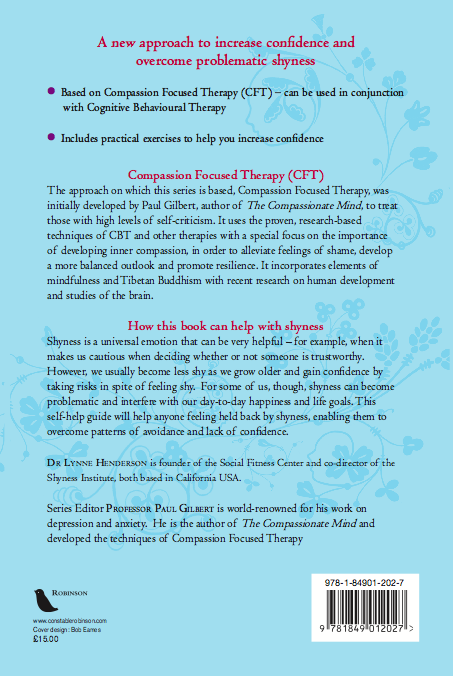 Compassionate Social Fitness: Theory and Practice. Presentation given at the 2012 ADAA Conference. Social Fitness: The Online Treatment of Shyness. Abstract of results of online study. 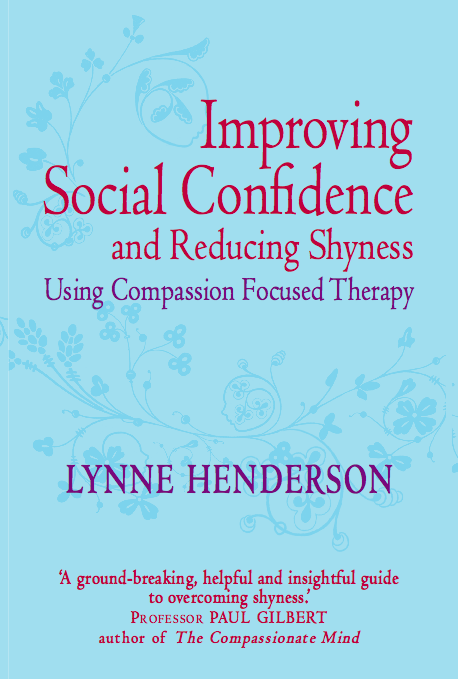 Improving Social Confidence and Reducing Shyness Using Compassion Focused Therapy, by Dr. Lynne Henderson, published in the UK by Little, Brown (Constable & Robinson). ShyQ. Poster given at the ABCTconference, San Francisco, CA. Shyness, Social Anxiety and Social Phobia, Henderson, L., & Zimbardo, P. (2009, in press; draft – do not cite). In S. G. Hofmann & P. M. DiBartolo (Eds. ), Social anxiety: Clinical, developmental, and social perspectives, second edition (2nd ed.). Taramani, Chennai,India: Elsevier. Testing Treatment Fit Among Social Phobic and Shy Patients: In Search of Specific Treatment Effects, Kimpara, S., Henderson, L., & Beutler, L. E. (2010, Doctoral dissertation). The effectiveness of the integrative approach incorporated into the Social Fitness Training was mediated by level of internalizing coping style. ShyQ. Poster given at the Connecticut Psychological Association meeting. Social Fitness: Theory and Practice. Presentation given at the Connecticut Psychological Association meeting. Shyness and Communal vs. Individualistic Orientations: Sensitivity to Emotion. Poster presented at ABCT. APA Shyness brochure. A waitingroom brochure, prepared for the “Talk to someone who can help” series of the American Psychological Assocation. Gifted and shy. In Duke Gifted Newsletter. Social allergies and frustrated interpersonal motives. Paper presented at the Society for Interpersonal theory and research, 8th Annual Meeting, Montreal, Canada. Shyness and Self-Preoccupation: Effects on Conversation Partners Poster presentation at the American Association of Behavior Therapy, November, 2003. 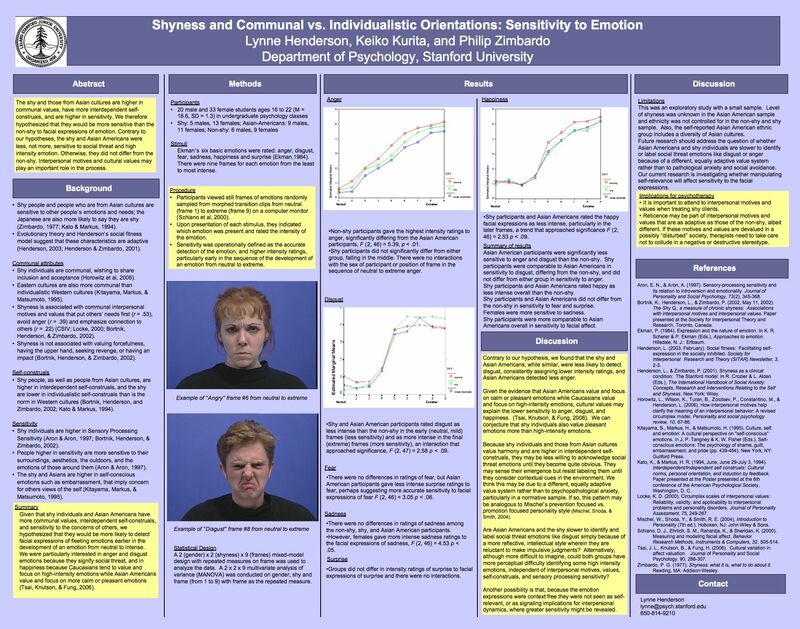 Perceptions of Facial Affect in the Shy and the Not-shy Poster presentation at the American Association of Behavior Therapy, November, 2003. Shame and Anger in Chronic Shyness and Social Anxiety Disorder unpublished paper. Participation, Trust and Distance Collaboration Slides from a presentation at the University of Michigan, February, 2002. Measuring the Dimensions of Shyness: SHYQ Slides from a presentation given at the Conference of the Western Psychological Association, San Diego, April, 2002. The Shy Q, a Measure of Chronic Shyness: Associations with Interpersonal Motive and Interpersonal Values Handout from a poster presented at the Society for Interpersonal Theory and Research, May, 2002. Shyness and Self-Preoccupation Effects on Conversation Partners Slides from a presentation at the Society for Interpersonal Theory and Research, May, 2002. Shyness and College Admissions (slides). Social Fitness and Technical Use: Adolescent Interview Study (unpublished paper). Comparing Social Fitness and Technology Use at the High School and College Level (unpublished paper). The Shy Q, a Measure of Chronic Shyness: Associations With Interpersonal Motives, Interpersonal Values and Self-Conceptualizations. 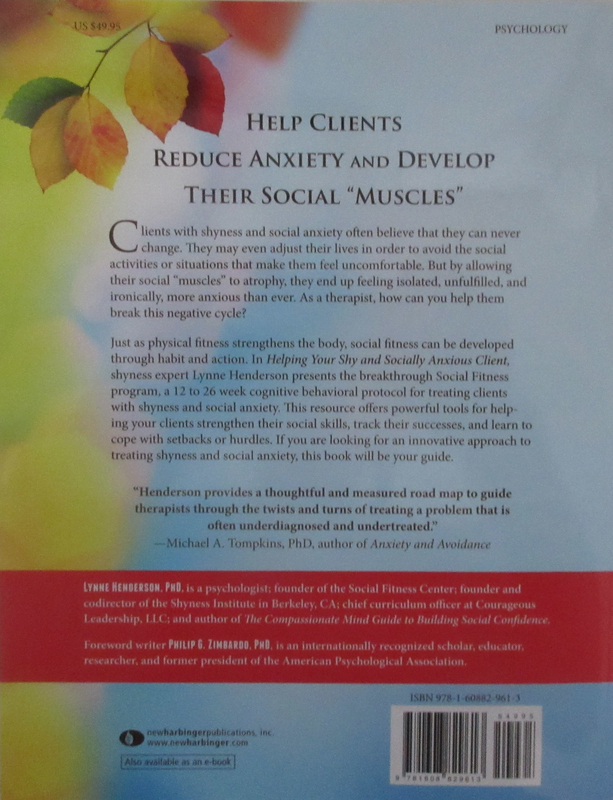 Handout from a poster presentation at American Association of Behavior Therapy, November, 2002. Journal Article: Banerjee, R., & Henderson, L. (in press). Social-cognitive factors in chilldhood social anxiety: a preliminary investigation.Social Development. Journal Article: Henderson, L. (in press). Fearfulness predicts self-blame and shame in shyness. Personality and Individual Differences. Book Chapter: Henderson, L., & Zimbardo, P. (2001a). Shyness as a clinical condition: The Stanford Model. In L. Alden & R. Crozier (Eds. ), International Handbook of Social Anxiety . Sussex, England: John Wiley & Sons. Book Chapter: Henderson, L., & Zimbardo, P. (2001b). Shyness, social anxiety and social phobia. In S. Hofmann & P. di Bartolo (Eds. ), From social anxiety to social phobia (pp. 46-64). Needham Heights: Allyn & Bacon. Journal Article: St. Lorant, T., Henderson, L., & Zimbardo, P. (2000). Co-morbidity in a shyness clinic sample. Depression and Anxiety, 12, 232-237. Journal Arcticle: Hayward, C., Varady, S., Albano, A. M., Thienemann, M., Henderson, L., & Schatzberg, A. F. (2000). Cognitive-behavioral group therapy for social phobia in female adolescents: Results of a pilot study. Journal of the American Academy of Child and Adolescent Psychiatry, 39(6), 721-726. Henderson, L., & Zimbardo, Philip. Shyness. Encyclopedia of Mental Health. San Diego: Academic Press. Henderson, L., & Zimbardo, P. (1996). Shyness and control: Behavior? Impression on Others? “Second Effort?” Paper presented at the annual meeting of the Anxiety Disorders Association of America, Orlando, Florida. Henderson, L. (1994). Differentiating self-blame in a high school sample. Paper presented at the annual meeting of the Anxiety Disorders Association of America, Santa Monica, California. Henderson, L. (1992). Self-blame and shame in shyness. Dissertation Abstracts International (University Microfilms). Henderson, L. (1992). “Shyness Groups” in M. McKay & K. Paleg (Eds. ), Focal psychotherapy groups. Oakland: New Harbinger Publications.